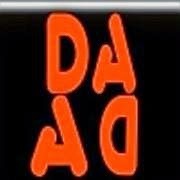 DaDa Project is an improvised electronic live music directed to small venues e/o chill out events. The music is a mescal of normal and abnormal sounds, noises, old time radio voices, effect machines and sampling speeches. The artist produce, record, discompose and rearranged noises and voices... Add, cut, change, slice and glue sounds together. The music is produced in a way that all the sounds work in a loop mode and in an improvisation music environment. Described as minimal electronica & improvised electronic music, DaDa is a Project in constant mutation.